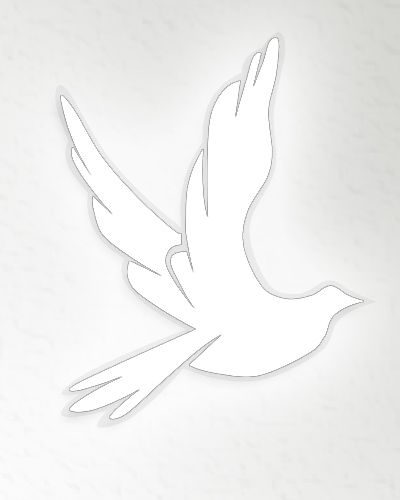 Obituary for Audery Rae Ball | Sierra View Funeral Chapel & Crematory, Inc.
Audery Rae Ball passed peacefully from this life on March 25, 2019 at the age of 89 years to rest with her Lord and Savior, Jesus Christ. She was in the company of her best friend Sondra Perron, son Justin and friend Monte Schmid. Born in Alcester, South Dakota on November 22, 1929 to Bernice and Joseph Hongslo, she grew on a dairy with her sister Cleo, parents and grandmother Maggie Bjork. The work was made more challenging by the fact they did not have electricity. She married Richard “Pat” Ball on July 18, 1950 and took up farming with him. Children Michael and Rita were born in South Dakota in ’55 and ’57. Invited by Pat’s Uncle Charlie, they moved to California in July of 1962. Justin and Jeanne added to the family in ’63 and ’64. They only intended to stay two years, but remained in Citrus Heights and maintained their current home since 1964. Audery found employment at Aerojet and then McClellan AFB where her final job was as an instrument repair mechanic. She retired from there in 1993 and has been enjoying her retirement ever since. She continued to meet regularly with Monte, Donna, and John for lunch. She always looked forward to their time together. Audery shared a close relationship with many of her neighbors. She and Sondra were often mistaken for sisters. She and Pat, Bud and Sondra spent many happy hours playing cards, having bar-b-ques and watching their children grow. Joe and Janet Silvia and Marv and Sue Sjolin were always welcome as well. She was extremely active in her church, Twin Oaks Baptist Church. She joined the congregation when she moved to the neighborhood and continued as an active member. She was a Sunday school teacher for the children and took care of the little ones in the nursery. Once she retired, she would change the message on the marquee and help on food bank day. When she was still able, she would collect those unable to drive and bring them to church. She loved the fellowship of the potlucks and lunch with friends at Taco Bell. She loved and cherished her friends in Christ and it was obvious that they felt the same. She is survived by her sister Cleo Clark of Alcester, South Dakota, Michael and Tina Ball of Mena, Arkansas, Rita Ball of Citrus Heights, Justin and LoriAnn Ball of Rancho Cordova, California and Jeanne and Daniel Sharkey of Newmarket, Ontario, Canada. She was also the proud grandmother of Jarrett, Marshall and Sarah Ball, and Caitlin, Kieran, Kaleigh, and Clare Sharkey of Canada. She was also constantly delighted by her great-granddaughter, Aubrey Ball. Her ashes will be interred in South Dakota next to her husband of 57 years in the Union Creek Cemetery.